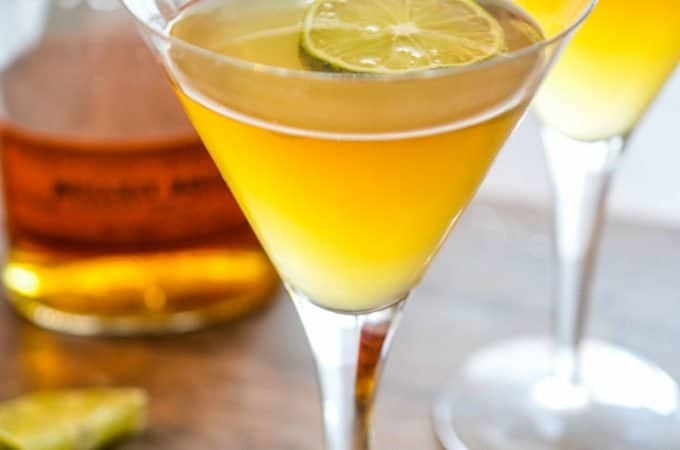 This is the best bourbon sour recipe. It's easy to make and so delicious! 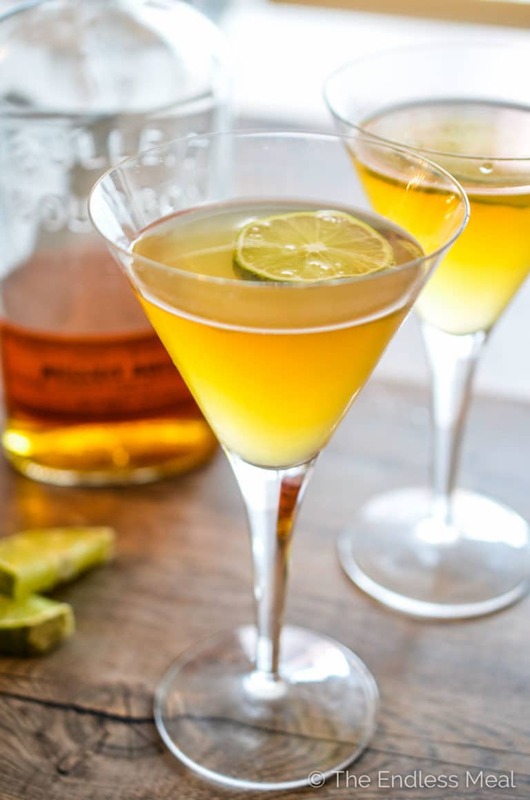 Is it too early for a bourbon sour? Let me rephrase that, is it EVER too early for a bourbon sour? I didn't think so. Besides, it's past noon. And it's Cocktail Friday. I'm not exactly sure if this is a bourbon sour but it has bourbon in it, and it is a little sour, so that's what I'm calling it. These guys are boozy, so be careful. Or don't, it's your choice. 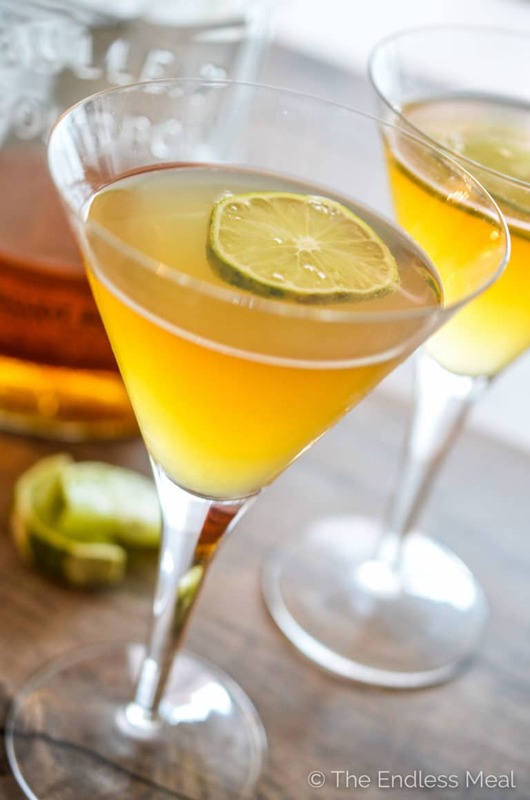 There's a strong citrus note and sweetness from the triple sec that calms the bourbon down a little. This is the kind of cocktail you'd want to serve at the beginning of a dinner party. It's elegant, sophisticated and will have even your most uptight guest relaxed by the end of the first glass. Put everything into a shaker with ice. Shake, shake, shake. Serve in a martini or rocks glass with a slice of lime for garnish. Taste pretty good. The cranberry juice and triple sec changes the dynamics of the traditional sour which is a good change for me. My drink came out a lot more pinkish colored compared to your photo. I wonder what was different. So happy to hear you liked the recipe. The colour difference was likely due to the cranberry juice. If yours was a brighter pink colour your cocktail would have been too. ?